You blink and you miss!!! That's how fast the strike of the trap jaw ant from the genus Odontomachus is. 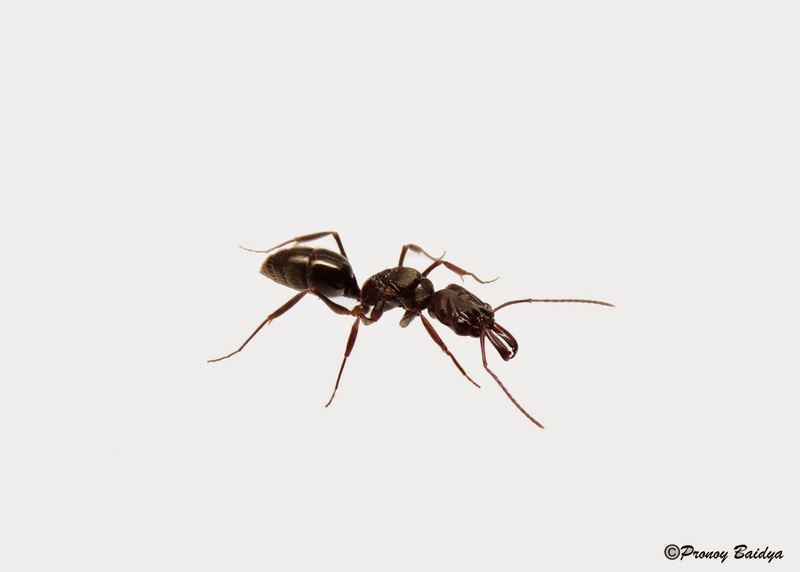 Recent studies on a species of Trap- jaw ant | Odontomachus bauri (Emery, 1892) which is found throughout the tropical South America, the West Indies (except Cuba and Bahamas) and on the Galapagos Islands, have shown that they have phenomenally fast predatory strikes. 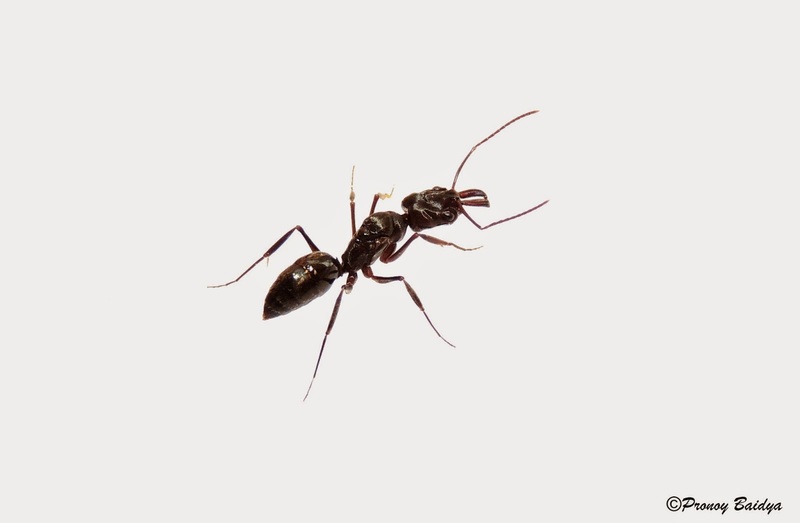 These ants can shut their vice like jaws at an incredible speed, which ranges from 126–230 km/h within an average duration of 130 microseconds. If you relate it to the speed of a single blink of the human eye it is around 2,300 times faster! Well, if it’s so fast, how did scientist's manage to give us that number? It turns out to be that videography was their best friend. Scientists from the University of California and University of Illinois used a camera which can record at a speed of 50,000 frames per second with (8–11) microsecond shutter speed! Scientists have also discovered that this trap-jaw mechanism not only serves to capture prey, but to eject intruders from the nest, or jump to safety in case they meet a predator. Talk about multi functionality aeh!!! So what's the Indian and in particular Goan connect? Well, India too has its own share of trap- jaw ants! 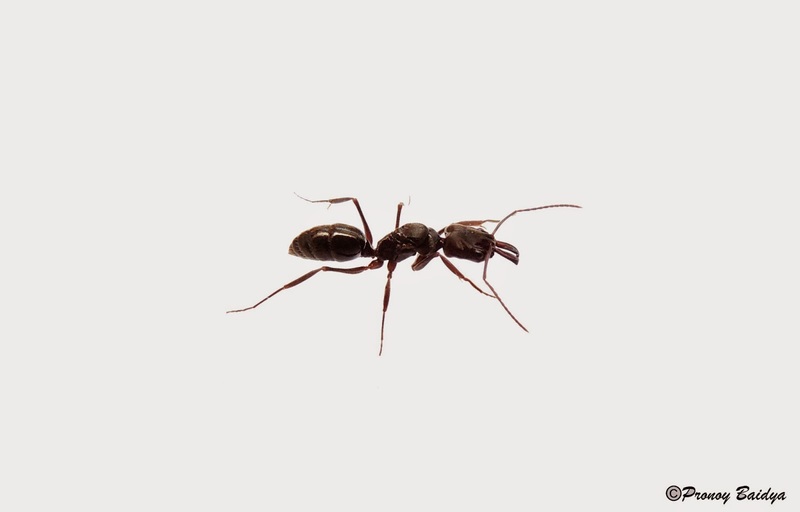 In India there are two genera of trap-jaw ants that are found Odontomachus and Anochetus. While recent estimates say that there are 4 species of Odontomachus and 12 species of Anochetus found in India none have been yet documented from Goa officially. 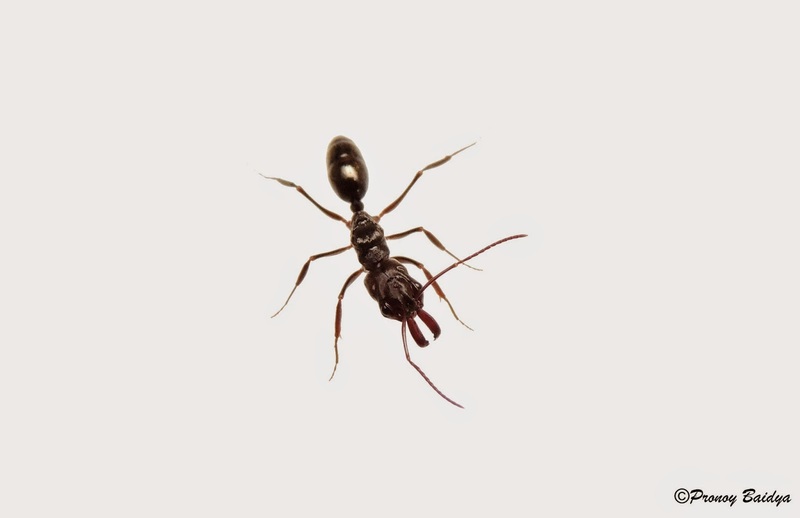 A pending paper with the Journal of Threatened Taxa (JoTT) from Goa will add two species of Anochetus for the state upon being published while ongoing studies in the forests of Goa is set to add one species of Odontomachus to the Goan checklist of ants. 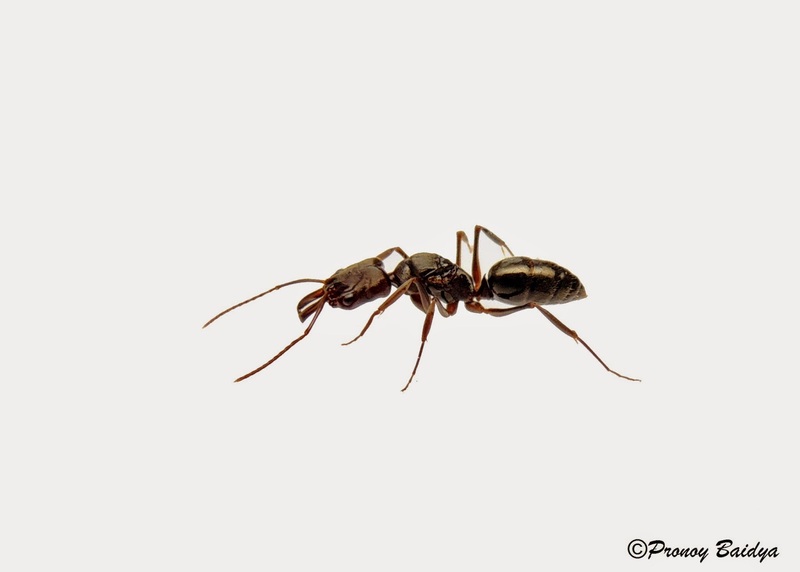 Since the first live specimen of a trap-jaw ant that I had seen in Bangalore, I was fascinated with them and especially their highly modified jaws as my Professor, Dr. Chandrashekara used to always remind me that "evolutionary modifications are always at a cost". While my journey to understand this "cost" continued, I was on a hot Sunday afternoon most surprised when a (probably) recently mated queen Odontomachus decided to fly into my house in Panjim! I had just finished experimenting how to take the white-background photographs like Alexander Wild with my then meagre point and shoot Nikon P510 with lots of eternal flashlights, CFL's, diffusers and this lady turned out to be a perfect subject for my experiment. As I was picking her up from the corner ever so gently, she didn't make any attempt to flee. I placed her in the middle of my setup and till date I remember her as my most obliging model whom I didn't have to restrain from running off. I will leave you with three things at the end of this post, one- the gorgeous lady's images taken in 2012, two- a simple way to differentiate an Odontomachus from an Anochetus on the field and three- an interesting video doccumenting a faceoff between an Odontomachus and an Antlion which shows that every creature, no matter how fierce or specialized in this world has a match. This video is sourced from www.sciencechannel.com and linked through youtube. My attempts at doing an Alex Wild! 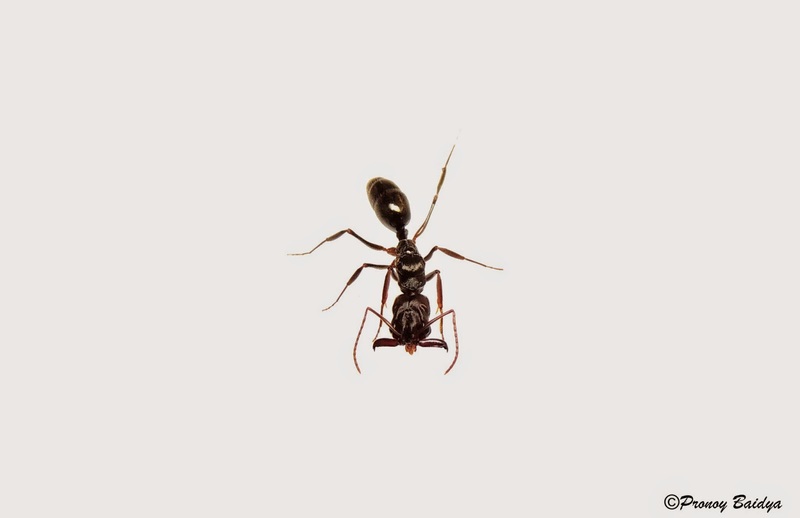 How to differentiate the two trap- jaw ants Odontomachus and Anochetus? How to differentiate between Odontomachus and Anochetus? Trap-jaw Vs Antlion. Find out who WINS! Longino, J. T. "Formicidae: Odontomachus bauri". Retrieved October 9, 2014. Wild. A. "How to tell the difference between the trap-jaw ants Anochetus and Odontomachus". Retrieved October 9, 2014. Patek SN, Baio JE, Fisher BL, Suarez AV (22 August 2006). "Multifunctionality and mechanical origins: Ballistic jaw propulsion in trap-jaw ants". Proceedings of the National Academy of Sciences 103 (34): 12787–12792. video ta nilli ki kore?? The video is sourced from Science Channel. Excellent post! Look forward to more.